If you ask Marie Forleo’s team what they think of their boss, they’re likely to respond with a resounding: “We love her!” At first glance, it might seem like Marie and her team have an outstanding working relationship because of their individual abilities to plan, produce, and execute great work. They share a common core – their love for their jobs. This element is key in creating an ideal work environment both for employee and employer. But if we take a look under the hood, we’ll find that Marie does something that many business owners fail to do well. She openly communicates with her employees about not only their tangible benefits and incentives in working for her, but also the true care and value she places in all of them. She exemplifies the power in communicating value to and for her employees and in turn is rewarded by a team that fully supports, encourages, and grows with her every step of the way. Whether you’re an executive in a multi-layer corporation or the head honcho of a small business, crafting a unique, personable, and engaging work environment is vital to your company’s success. At the foundation of this very environment is your employee experience. From the moment a potential candidate starts the ongoing process to become a new hire to the second they exit your company, their entire work experience is in your hands. At the core of this experience is benefits communication, or the process of openly sharing information about an employee’s benefits and incentives with that very employee. In the old way of doing business, benefits communication took a back seat. It was understood that companies were required by certain local, state, and federal laws to create a reasonably healthy and comfortable work environment for their employees. But, the reality is that in the past, companies were more focused on creating benefits packages around lowered operating costs and bare-minimum needs. These days, that same strategy no longer works. Employees in this modern era want to not only love the work they do on a day-to-day basis, they also want to work for a company that respects and supports their individual needs. In a study conducted by Quantum Workplace and Limeade, it was revealed that employees who view their employers as having genuine care and concern for their health and wellbeing were 38% more engaged in the workplace. Even more so, 17% of those study respondents were more likely to remain at their current job. When taking the time to consider creating or updating your benefits packages, it’s wise to also consider your communications strategy to go along with them. This consideration is not only a strategic move on behalf of your company, it’s also an incredibly thoughtful decision that will be highly appreciated by your employees for years to come. So, how do you go about actually creating a winning benefits communication plan? Below are just a few tips to help get you started. Before you can go about executing a benefits communication plan, you need to have solid benefits in place. As mentioned, to companies in the past, this was a process as simple as picking a few items on a checklist, putting them together in tiered options, and telling your employees to choose the best one. Today, running a healthy, viable, and strong company takes starting with real care for your employees. When looking at your packages, consider the diverse group of people working with you. What do they need to be successful, healthy, and happy at your company? Do they require benefits that allow them personal stability, like paid time off, transportation and housing support? Do they care more about benefits that afford them financial stability like access to financial coaching, banking, and savings options? Or perhaps do they need to be supported in their professional development through training courses, leadership development, and more? One of the best ways to create packages that’ll translate well with your employees is to ask your current roster of workers what they need and then build plans that match. Once you have the “meat and bones” of your benefits program, you need to start communicating its value to your team. From the moment you hire a new employee to the moment they decide to leave your company, you need to have a clear benefits communication strategy in place that ensures employees are aware of these packages every step of the way. It’s helpful here to consider what benefits will be helpful at what stage of the employee experience. Perhaps as a new hire they need to be aware immediately of deadlines for health insurance but they don’t need to worry about the ins-and-outs of professional development opportunities until they’ve been with you for a full year. It’s also wise to think about the ease and efficacy of your communication strategy at each of these stages. For example, is it easy for a new hire to learn about and use their benefits? Is it just as easy for seasoned employees or is there a disparity between the communication in these two groups? While having your benefits clearly communicated to your employees at each stage of their experience is important, engaging with them along the way is just as crucial. Once they understand what their benefits are and how they can use them, they need to be reminded of them every once in a while. Your benefits communication strategy should include regular engagement throughout the business year, including regular enrollment reminders (sent by text, email, tweet, instant messenger, etc. ), meetings to discuss options with your broker or insurance agent, open feedback forums to understand where you and your employees may not be on the same page regarding benefits, etc. Once you’ve got your strong benefits packages in place, have communicated their value to your employees at each stage, and have engaged them along the way, you also need to make sure you are being personal and individual in your communication. For example, if you have millennial employees, they may be more concerned with student loan repayment than health care benefits. 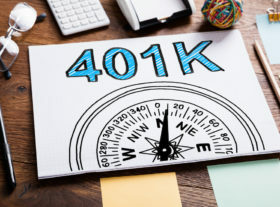 Older employees may be more interested in learning about retirement options and savings plans. Remember that each of your employees has different needs and goals. It can be helpful in your communication to structure campaigns (for example, an email campaign sent out to employees reminding them to review their benefits packages with HR) to speak to the individual employee. In this way, try looking at your benefits communications from a copywriting perspective. If you don’t write to your specific audience, it will be more difficult for them to engage with you on an individual basis. A 2016 AFLAC WorkForces report, 65% of respondents said that having a solid benefits package is vital to overall job satisfaction. Without properly communicating these benefits to your employees, they may not be as productive in your company. Finally, the most important part of any benefits communication plan is feedback. When creating your benefits packages and updating them, it’s important to ask your past, present, and future employees what they need from you, what they think is expected of them, and everything in between. Part of having strong benefits communication is being the type of employer who truly cares for their employees, and that means keeping the lines of communication constantly open. Ask your employees for feedback whenever possible. Hold regular quarterly or yearly meetings to discuss changes to future packages, changes to company policies, improvements that need to be made in the day-to-day work environment, etc. After all, your company is only as successful as the employees who keep it running, and taking the time to map out and execute an effective benefits communication plan is what’ll keep them (and you) moving forward. For more tools, outlines and templates for your employee communication needs give us a call or email us at [email protected]. To download our employee communication toolkit, click the “Featured Resource” below.